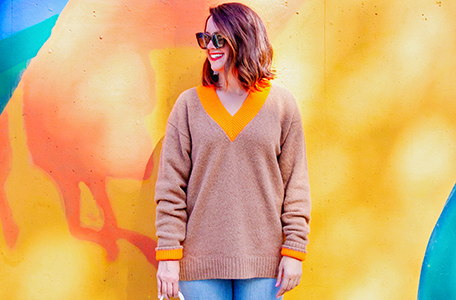 Orange You Glad It's November? Let's Get Cozy! All at once, summer collapsed into fall. Indeed, fall has arrived – even for those of us in Texas. Of course, it is all relative. We certainly don’t have the beautiful fall foliage that you have up north nor the very cool temperatures. But we are no longer sweating while we go outside, so that’s a big improvement! When we were in Denver a few weeks ago, I was reminded of how refreshing the crisp fall air can be. I breathed in the mountain air so fully and completely. It was refreshing! And it brought me so much joy to watch Elle delight in the simple pleasure of crunching fall leaves under her feet. All of this got me very excited for November back home, when some of these fall realities make their way to us in the south. When you think of November, what words come to mind? Thanksgiving. Gratitude. Voting. Family. Pumpkins. Turkey, dressing, sweet potatoes, and all sorts of yummy food! Changing leaves. Pumpkin spice lattes. Scarves. Sweaters. Boots. Blankets. Books. Home. Togetherness. Holidays. Celebrations. Gatherings. Our November word of the month is COZY. Now, allow me to get personal… It’s been a trying time for me personally. I’m not prepared to share details, but it has been a difficult time to say the least. What I have learned about life, though, is that thankfully it’s never all bad. And aren’t we thankful for that? If everything was bleak, life could be unbearable. But fortunately, there is still so much joy to be had even in the toughest of times! In fact, I dare to say those joyful aspects of life mean even more to us during the difficult seasons. Right now, this month, all I want to do is get cozy! What do I mean by cozy? Well, the official definition of cozy is as follows: “giving a feeling of comfort, warmth, and relaxation.” And that pretty much sums up what I want right now. I want to cuddle up on the sofa with my family and watch a heartwarming movie or a funny holiday flick. I want to snuggle up with a blanket, some hot apple cider, and read a good book — something comforting, something inspiring or something cozy! Side note: I’ve been super excited to read that last one I mentioned. The Cozy Minimalist Home is a new release. You don’t often see the words “cozy” and “minimalist” mentioned together, so it intrigues me! I like cozy, but I certainly don’t like clutter. I want to hug my family. I want to soak up every moment with my daughter. She is learning so much and developing and growing and changing so quickly! I want to express gratitude, rather than keep it inside. I want to gather with my friends and encourage one another. And, yes, I want to wear chunky sweaters, over-the-knee boots, and plaid scarves. Basic? Maybe. Cozy? Definitely! 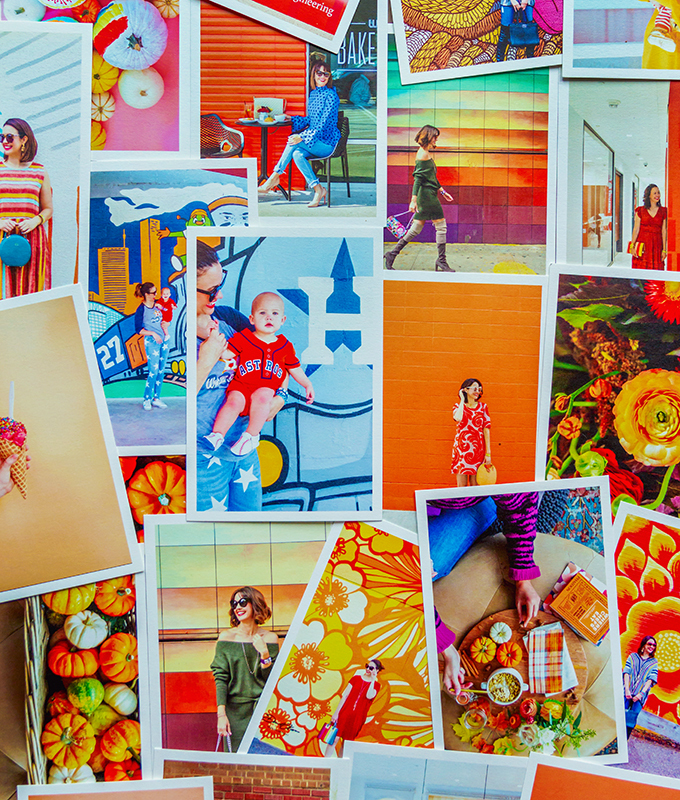 Our November color of the month is ORANGE. What do you think of when you think of orange? Sure, we think of Halloween and jack-o-lanterns. But orange stretches far beyond October into November. Fall foliage. The full harvest moon. Pumpkin pie. Sweet potatoes. The crackling flames of a warm fire. The University of Texas longhorn football — or Oklahoma State football, if you’re my family in Oklahoma. 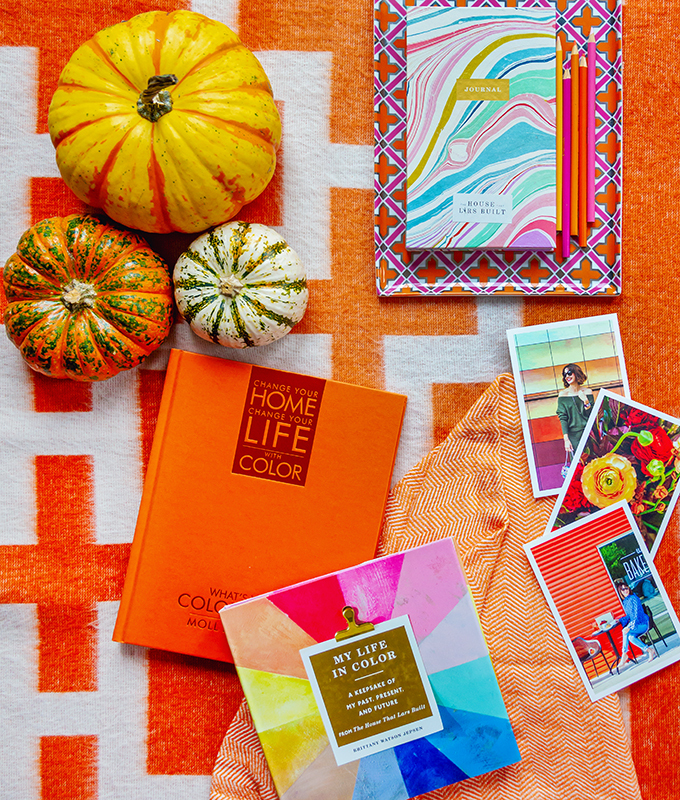 These are just a few of November’s orange joys. 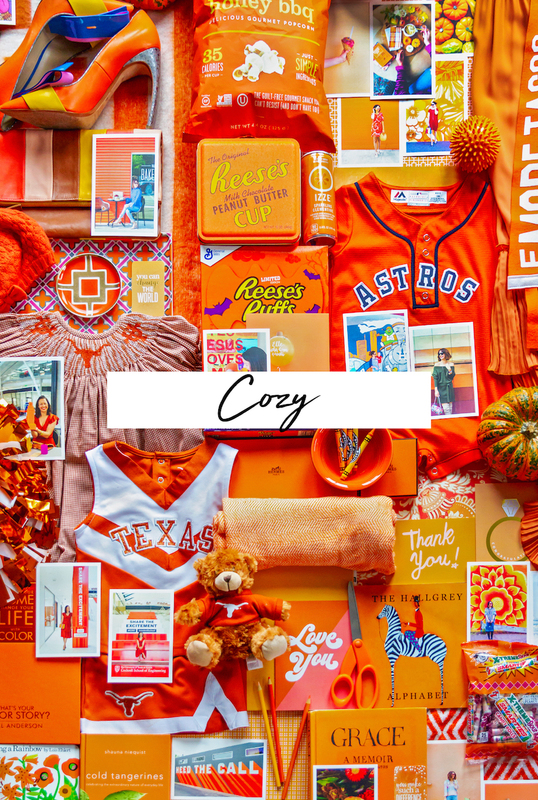 At its core, orange is the combination of red and yellow. So, it combines the warmth of red with the happiness of yellow. That’s a winning combination in my book! Orange is stimulating. The color stimulates activity, appetite, and thinking, amongst other things. Orange is attention-grabbing. That’s why you see it used for traffic signs, billboards, advertisements, and more. Orange is polarizing. You either love it or loathe it. The color elicits strong reactions; there’s typically no in between. I guess that’s what happens when you live boldly as orange does! 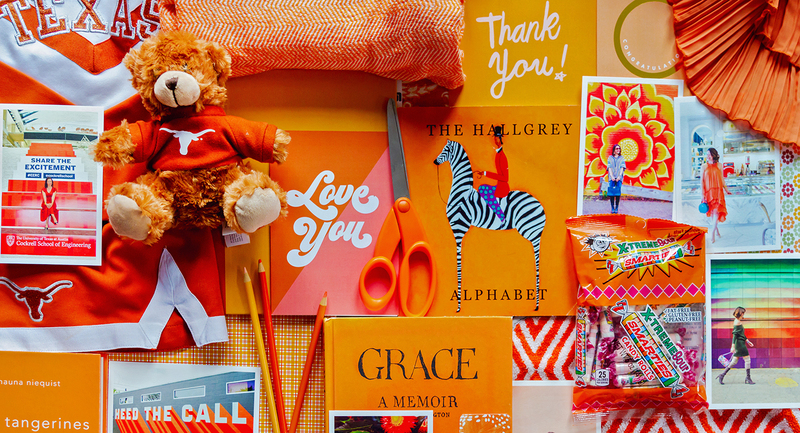 Regardless of which camp you land in, there’s no denying that orange is energizing. So, let’s channel that energy in a good way this month! Let’s get cozy. We hope you are as ready to embrace November and the cooler days as much as we are! What are you most looking forward to this month? We’d love to hear in the comments below. I hope you are okay, Carrie. Sorry to hear it has been a difficult time for you. A Unicorn Hot Chocolate Recipe you won't be able to find anywhere else.